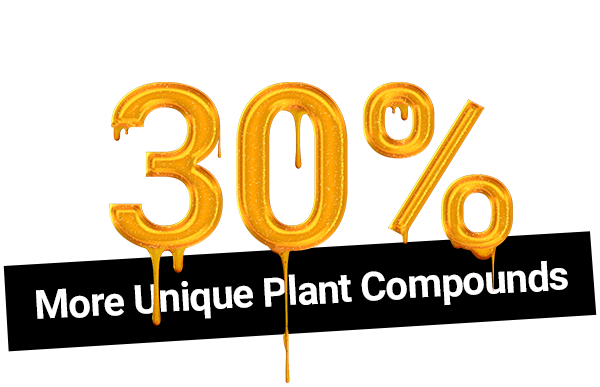 Increase production of unique plant compounds from between 20% - 35%, with many growers reporting increases of 35%+. Our patented technology makes this possible through the stimulation of the UVR8 protein, which is triggered by UVB radiation at 288nm. This, in turn, stimulates plants to produce more compounds to protect themselves from the increased UVB. Kill or supress Powdery Mildew. Our lamps are proven to help eliminate PM and other moulds which cannot live in a high UV environment. They are not a substitute for good sanitation, but provide extra insurance that PM won’t sneak up on you. Kill or supress insects. The 66% UVA portion of our lamps is modelled after the sun, but is more intense. In a growroom, where there is nowhere to hide, insect populations will drastically reduce before they multiply. Virtually no lamps produce UVB in the 280-320nm range due, in part, to the limitations of the glass. Solacure lamps are the sole exception as they use a type of glass designed specifically for transparency across the entire UVB spectrum. This patented glass technology, combined with our unique blend of phosphors and high output, is what makes Solacure lamps the most effective producers of UVA and UVB light, and the only lamps capable of triggering the full UVR8 effect.